Mumbai, Nov 28, 2018: The Singapore Tourism Board (STB) collaborated with legendary Indian musician maestro, Isainyani Ilaiyaraaja for a song video https://www.youtube.com/watch?v=f_Nk3uXOpZw, when he visited Singapore in August 2018 to conduct a sell-out concert for his fans from the region. At the concert, he performed with a full orchestra, including members of the Budapest orchestra, one of his iconic songs 'Akkarai Seemai Azhaginey (English translation: “my heart dances in the beauty of an overseas metropolis”) from the movie “Priya”. This song was about and filmed in Singapore and was a hit about 40 years ago. 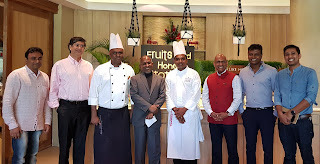 The STB and its travel trade partners had the pleasure of hosting Mr Ilaiyaraaja to travel experiences across the city. Some of the city’s iconic precincts, landmarks and attractions featured in the video are Gardens By The Bay, Resorts World Sentosa, Victoria Theatre, Haji Lane, Madame Tussauds, Buddha Tooth Relic Temple, Sri Mariamman Temple, Little India, Cable car ride and Shangri-La’s Rasa Sentosa Resort & Spa. The video shows Mr Ilaiyaraaja at various spots in Singapore, at the concert and snippets from an interview he did where he spoke about his experiences and long association with Singapore. Sharing his thoughts about this unique musical collaboration, Mr. GB Srithar, Regional Director (South Asia, Middle East and Africa), Singapore Tourism Board stated “It was a privilege to work with Mr Ilayaraaja to capture on camera his thoughts about Singapore, him visiting well known places here and using his super-hit song composition from the late 1970s’ as a background score for the video. It was indeed a rare pleasure to hear from the legend himself of his admiration for Singapore and our tourism offerings. Raja sir has a huge fan following in India, especially in South India. As the STB continues to reach out to diverse audiences from across India, this collaboration allows us to go regional in our marketing efforts. 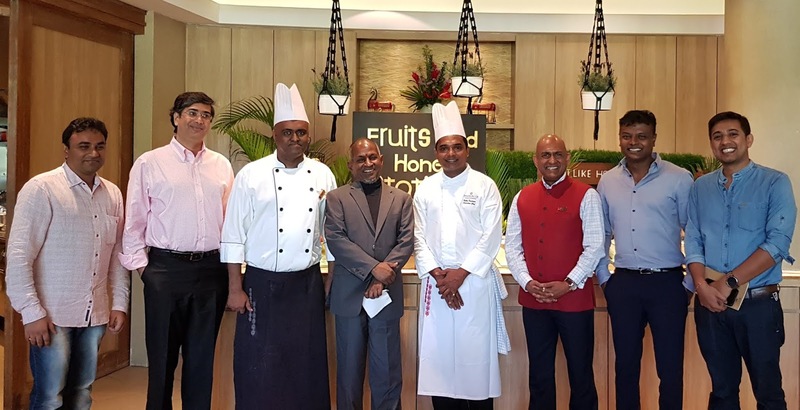 We are happy to have Isainyani Ilaiyaraaja onboard in this important effort to engage the travellers from South India and welcome them to Singapore, to have their own appreciation of “Akkarai Seemai Azhaginiley”. Apart from the main music video, audiences will be treated to an interview videohttps://www.youtube.com/watch?v=_4taxtYofgo, where Mr Ilaiyaraaja talks about his long association with Singapore and how he considers the city as his second home, having ade multiple visits in the past four decades. He reminisces about the time spent in Shangri-la’s Rasa Sentosa Hotel & Spa to compose his iconic orchestration for “Thiruvasagam” and the changes he has seen the Lion city undergo. He also spoke about “Aarvam Niraiverum” (Tamil translation of Singapore’s “Passion Made Possible” brand). Another four thematic videos have been released, showcasing key attractions like Gardens By The Bay and Sentosa, the city’s cultural diversity and changing landscape. The videos were produced in partnership with Mr Ilaiyaraaja’s concert organisers Noise & Grains and Meshana and were directed by a French director Mr David Montfort. Singapore has observed robust tourist traffic from South India. The short three (3) plus hours’ travel time, increased flight connectivity (nine (9) cities from South India have direct flight connections to Singapore) and quick weekend holidays contribute to the strong visitorship numbers to Singapore. Chennai and Bengaluru were among the top source cities for Visitor Arrivals from India to Singapore in 2017. Cities like Coimbatore, Trichy, Hyderabad and Kochi also registered growth in traveler numbers to Singapore. In 2018, the STB has undertaken several marketing initiatives in South India. In January, it organised a consumer-centric mall activity in Bengaluru, featuring the various travel offerings one can indulge in while in Singapore. In the middle of the year, it conducted, together with key trade partners from Singapore, an extensive travel trade roadshow series across cities of Trichy, Coimbatore, Kochi and Visakhapatnam. In 2017, Singapore recorded 1.27 million visitors from India, making India the 3rd highest contributor of visitor arrivals to Singapore. India also registered the highest growth at 16% in visitors to Singapore and continued to be the leading source market for cruise travel.